Charles Paulson was born in Swinderby, Lincolnshire in 1849. He served his time as an apprentice wheelwright in Croxton Kerrial, Leicestershire. 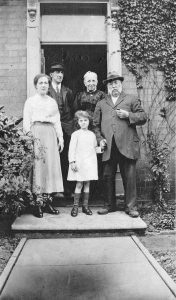 He moved to Edwinstowe, together with his wife and young daughter c1872. He was employed on the Earl Manvers Estate as a wheelwright until c1897. 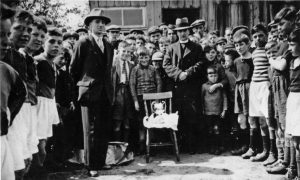 His other children, three boys and a girl were all born in Edwinstowe. Jane Ursula Haywood, Charles Paulson’s sister was married to Joseph Haywood. They lived at Budby. He was a blacksmith, also employed on the Earl Manvers Estate. 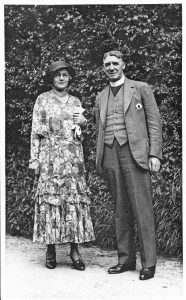 Although widowed in 1925, she continued to live in Budby until her death in 1940 aged 89 years. Annie Hodson Paulson was Charles Paulson’s wife. Her brother, William H. Kitchen, was together with his wife and family resident in Edwinstowe. He was employed as an agricultural labourer on the Earl of Manvers Estate. 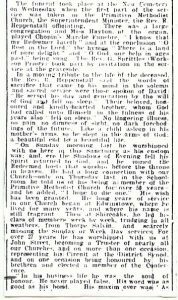 Charles’s great passion in life was his commitment to the Primitive Methodist Church in Edwinstowe. 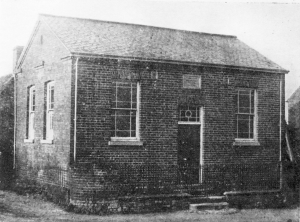 The Primitive Methodists were established in Edwinstowe around 1816-7 and their chapel was opened in 1848 on the corner of Friend Lane near the railway station opposite the Dukeries Hotel on Rufford Road. It was ‘a small, but clean and comfortable structure, with rising pews. Behind the tiny communion rail stood a high tub-shaped pulpit, fitted with two imposing paraffin lamps. 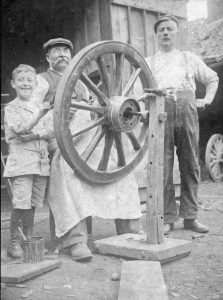 Charles and Annie’s two sons, Charles Henry and William Hodson, both served their time as wheelwrights with their father. William Hodson later became a Primitive Methodist Minister. He was an enthusiastic gardener and was a regular exhibitor of cut flowers and vegetables at the Annual Edwinstowe Flower Show. In August 1884, he displayed Phloxes, Woodhead Pansies and African Marigolds at the District Show. Sport was valued and important part of Methodist life. Rev. 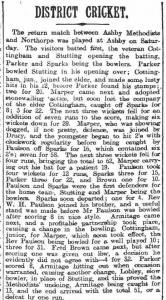 Paulson and his brother were enthusiastic sportsmen as you can see by the report below. 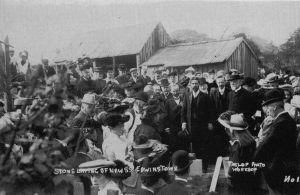 The officiating Minister at Charles’s funeral service at Worksop in 1926, paid tribute to his committed and saintly life; noting his contribution to the Primitive Methodist Society during his years in Edwinstowe. In 1951, the Primitive Methodists merged with the Wesleyan Methodists. 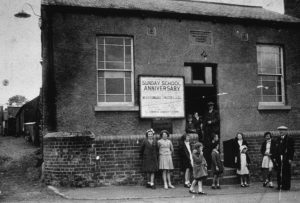 After the final service in the Friend Lane chapel, the congregation paraded through the village to the Methodist Church where another service was held followed by a tea for the combined congregations. Official posts were divided between the two churches. Mr. S.L. Winfield who tenanted the farm next to the former Primitive Methodist Chapel used it to store his farm equipment. It gradually fell into disrepair and was demolished in 1986.